A significant portion of the GHOST SONGS Intellectual Property, particularly our original audio content, has been released to an independent production company for use in an upcoming project. We expect to post new audio tracks here in the future for our friends in the home haunting community. Stay tuned... Any audio content you may discover on this website is provided for your personal use and enjoyment, free of charge. Mwaaahaaahaaaaa!!! Midnight Syndicate - Gothic horror soundtracks. Nox Arcana - Music from the shadows. Pumpkinland Studios - The original Pumpkinland hauntscapes. Rustyknife Haunt Soundtracks - Based on your nightmares. 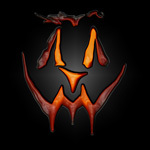 Hedstorm Productions - Music for a killer Halloween. Monster Project List - The webs largest list of Halloween projects. HauntProject.com - A visual source for haunt projects. EFX-TEK - Prop automation controllers. Halloween-L - Discuss Halloween ideas with some wonderfully creative home & pro haunters! Howl2000 - A friendly & social Halloween chat list. Garage of Evil - A social network where haunters can learn, build, and share. Hauntcast - Radio for haunters and Halloween fanatics. Phantasmechanics - Home of the famous Flying Crank Ghost. Doom Buggies - A tribute to Disney's Haunted Mansion. If you wish to contact me, you may do so through my profile page on the Garage of Evil. The Ghost-Songs.com website is designed to be viewed with a browser implementing a majority of the CSS Specification! Your browser does not fulfill these requirements. To enjoy the full experience of this website, please use one of the latest CSS compliant browsers. For more information about CSS and CSS compliant browsers, visit the World Wide Web Consortium's (W3C) CSS Home Page at: www.w3c.org/Style/CSS/. Thank you! Copyright ©2013 - Ghost Songs Productions.